Spurs chase Porto winger | The Transfer Tavern | Where football transfer rumours fly or die! 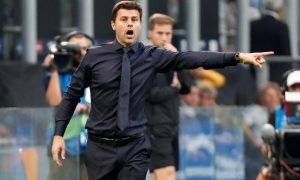 There is some excitement among Spurs fans today in the Football Transfer Tavern after news broke on Sky Sports that Porto winger Christian Atsu has turned down a new deal at the club. The Ghanaian international, who is set to feature at the upcoming African Cup of Nations, only has 18 months of his current deal left to run and he could leave for only minimal compensation at the end of his contract. Porto want to sign the impressive wide man to fresh terms in an attempt to keep the 20-year-old at the club. A later Sky Sports article reports that Andre Villas-Boas saw Atsu progress through the youth team at Porto and has earmarked him as potential star who could vastly improve his current side at White Hart Lane. 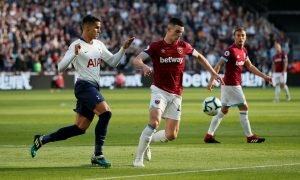 The Portuguese manager is keen to add to his squad in January as he faces a league campaign and Europa League battle and views the skillful winger as a viable option in the imminent transfer window. The Estadio do Dragao club could be tempted to cash-in on him if they cannot agree new terms, leaving him open to a possible switch to White Hart Lane in the near future. Can you see Atsu arriving at Spurs? Vote in our polls below.